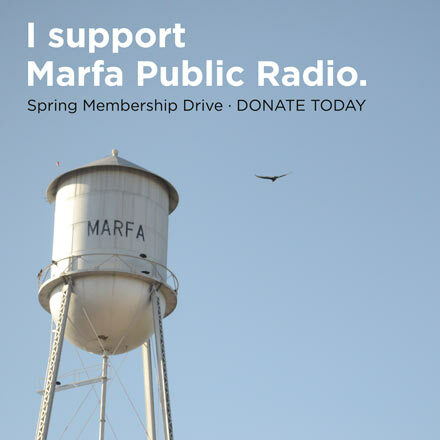 ← Marfa Public Radio To Launch Host Exchange Program with WCAI of Cape Cod, Mass. Amid consternation among many establishment Republicans about Donald Trump getting the GOP presidential nomination, there has been renewed speculation that they could turn to someone who left the campaign in September: former Gov. Rick Perry. But Perry’s former campaign manager, Jeff Miller, flatly dismissed the notion on Sunday. “@GovernorPerry has no interest in running as a 3rd party candidate. For the good of the country, he wants the GOP to unite around @tedcruz,” Miller tweeted. In January, Perry endorsed fellow Texan Ted Cruz for president, and the former governor has stumped for Cruz in several states. Perry was recently in Arizona, which holds its primary Tuesday, at an event for Cruz. The chatter around Perry began percolating weeks ago, as conservatives realized they were running out of alternatives to Trump, who has a formidable lead in the GOP delegate count but is staunchly opposed by many Republican leaders who feel he would be a disastrous choice for the general election. Though Cruz is in second place and is reaching out to many GOP circles to back him as the anti-Trump candidate, many establishment Republicans could find it difficult to back the Texas senator. Cruz has crossed swords with many leaders in the party, including Senate Majority Leader Mitch McConnell of Kentucky. In a February interview, Perry said that he wouldn’t be surprised if the GOP race resulted in a brokered convention and wouldn’t rule out re-entering at that point. But Miller’s tweet on Sunday suggests that Perry wasn’t focusing on any third-party scenario. In a follow-up tweetSunday, Miller faulted Republicans who had recently reached out, wondering where this interest was when Perry was an active candidate. The idea of a renewed Perry candidacy drew some interest from conservative commentator Erick Erickson, according to the New York Times article. Erickson said Perry would be a “consensus choice” for an independent campaign, the Times reported. 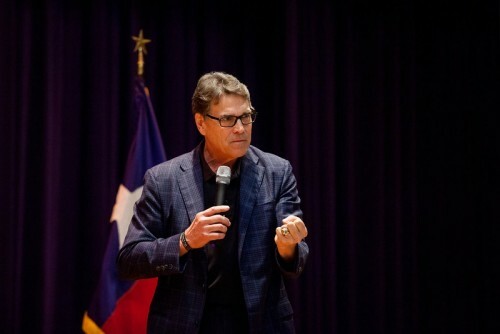 But according to well over a dozen Texas Tribune interviews with state and national GOP political operatives on Saturday, the effort to draft Perry appeared to be limited in scope and mostly theoretical. – Abby Livingston, Texas Tribune. This article originally appeared here. This entry was posted in KRTS News and tagged Elections, politics, Presidential Election 2016, Rick Perry, Texas GOP, Texas Tribune. Bookmark the permalink.